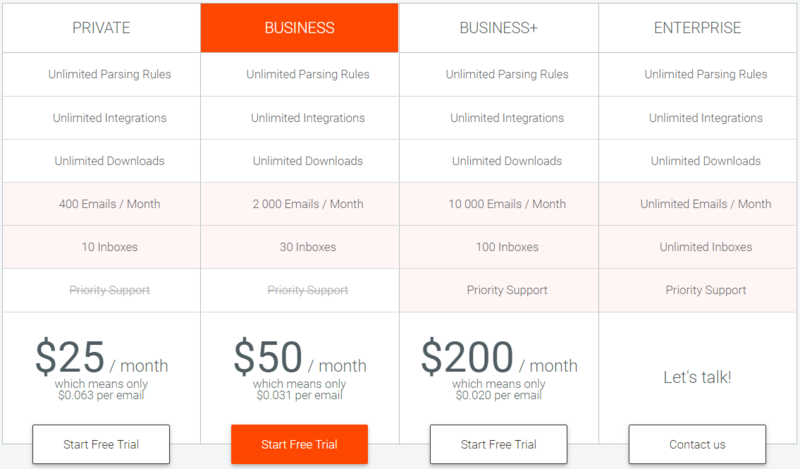 In August 2018, Mailparser changed pricing for new users. A recap of that change is captured below. We've gone more than 3 years without any pricing changes, while adding support staff, tech upgrades, oodles of features, and countless ways to empower your business. Thank you for the continued support.